Keeping up with the trends can be tricky for some people, but those are the same people who can’t keep up with you! Modern, on trend, fashionable and fun – these words can be used to describe B2 bridesmaid dresses, and the brides who are drawn to them. Jasmine B2 bridesmaid dresses are designed with current fashion in mind, from the cut to the wide array of colors available. 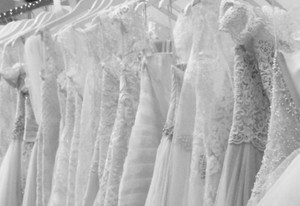 B2 dresses make an especially popular pick for brides who will have younger bridesmaids in their lineup. 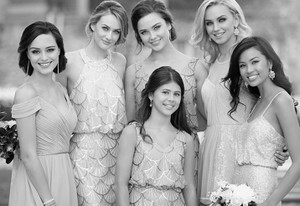 While Belsoie Jasmine bridesmaid dresses look pretty and polished on women of all ages, they are a flattering and fitting choice for teens and young women in a way many dresses aren’t. B2 bridesmaid dresses perfectly fuse sweet with a dash of sassy. They are fun and flirty while remaining appropriately formal. Elegantly calling on today’s trends and presenting them in a timeless style, the designers of B2 dresses by Jasmine have their finger on the pulse of superior wedding style!